Long flights are very taxing on the body. If you are fortunate to fly first or business class, lucky you! Forgive me for this post today as it was very amusing to see after a long flight. A quick glance shows a lady with her buttocks exposed. 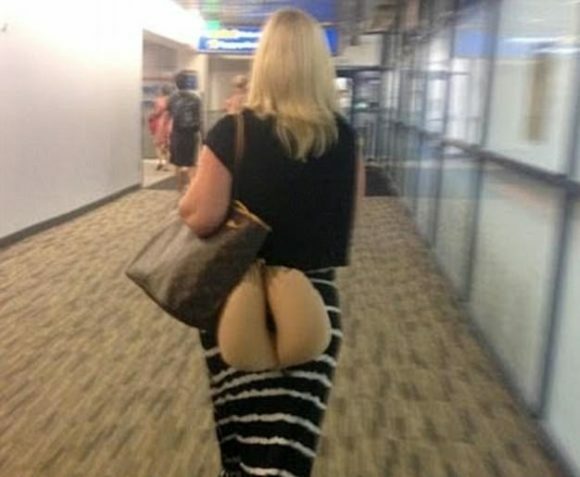 Upon further inspection, you see it is only her travel pillow attached to her purse that causes an optical illusion. This could easily have been mistaken for a Victoria Secret’s swimsuit show. Next What is this black thing?